The medical industry is massive. Even if you were to narrow the locations down to the South Florida area, finding the right X-Ray Technician program can turn into an extensive search. 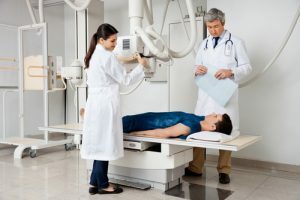 If you’re looking for an excellent X-Ray Technician program in the South Florida area, Florida National University (FNU) can offer a few suggestions along with some useful information to get a better understanding of the Radiology field. There are many necessary job positions that make a medical facility a successful operation. While most of us are quite familiar with the nurses and doctors as the leading faces in the medical industry, these professionals wouldn’t be able to do their job accurately without the assistance of a Radiology team. Most doctors specialize in internal anatomy, and in order for them to successfully diagnose and treat their patients, they must first be able to see what is going on inside of the body. That is where the Radiology team comes in. Radiology personnel works together to conduct diagnostic examinations and perform radiography treatments. The Radiology team is primarily made up of medical assistants, Radiologic Technicians, X-Ray Technicians, and Radiologist. Radiologists are medical doctors (M.D.s). They require the support of medical assistants that generally cover administration duties, insurance paperwork, and patient prep for the X-Ray and Radiologic Technicians. The X-Ray and Radiologic Technicians perform the diagnostic imaging tests. A good two-year academic program will include extensive clinical hours, and the curriculum will be crafted to prepare students to take the National Certifying Examination by the American Registry of Radiologic Technologists, and the State of Florida Department of Health and Rehabilitative Service General License Examination. As aforementioned, an X-Ray Technician will share the same responsibilities as the Radiologic Technician but will be limited regarding the amount of work that he or she is legally able to perform. While some states require different examinations for X-Ray Technicians, the official Florida Health’s government website requires every radiologic personnel working in the state of Florida to meet the minimum requirements. This means that X-Ray Technicians must also be licensed, no matter how narrow the scope of their duties is. Sonographers – A sonographer uses high-frequency sound waves to create detailed images of various areas of the human anatomy. Radiographers – take images of the insides of patients’ bodies to diagnose injury or disease. Mammographers – operate sophisticated medical imaging equipment that uses low-level radiation to produce detailed images of the breast. Cardiovascular-Interventional Technologists – assist physicians with minimally invasive, image-guided procedures to help diagnose and treat heart and blood vessel diseases without surgery. Bone Densitometry – gives a test like an X-Ray that quickly and accurately measures the density of bone. Question: How much do X-Ray Technicians make in Florida? Answer: The average X-Ray Technologist’s annual salary in Florida is $52,960. Salaries typically start at $34,780 and go up to $73,580 based on certification, degrees, experience, location, and specialties. Question: How long does it take to become an X-Ray Tech in Florida? Answer: According to the Florida Department of Health, obtaining an X-Ray technician’s license requires certification through an exam and a degree from an accredited two year Radiologic Technology program such as those offered at FNU. Question: Is Being an X-Ray Tech Dangerous to my Health? Answer: Research from the National Cancer Institute’s Division of Cancer Epidemiology and Genetics indicates that work in radiologic technology post-1950 does not increase the risk of multiple myeloma, lymphoma, chronic lymphocytic leukemia, breast cancer or melanoma. Question: What are the advantages of becoming an X-Ray Tech? Answer: Employment rates and prospects are excellent while providing interesting work settings. X-Ray techs have better than average salaries and insurance benefits. Also because radiation technicians are needed practically everywhere, you have the ability to travel including the option of military service. On a daily basis, X-Ray technicians are given plenty of opportunities to interact directly with patients as they are responsible for positioning patients in the correct way to capture accurate imaging. As quite a few X-Ray and radiologic technologists specialize in oncology, you may even be interacting with some of the same patients over the course of their treatment. Often, these professions are thought of as being behind the scenes and isolated from other medical professionals. In reality, there is a balance of patient-facing care while also having lengthy stints in the lab as they conduct tests and research. – Prepare and develop X-ray films (i.e. radiographs) to assist physicians to uncover the underlying causes of medical conditions. – Explain radiologic exams procedures to patients and answering their questions. Position them on the table and removing any items that X-rays won’t be able to pass. – Ensure that patients are protected from overexposure to radiation by covering the exposed area of the body with lead shields and limiting the size of the X-ray beam to reduce intensity. – Follow instructions as given by the physician exactly and abide by all health and safety regulations to protect themselves and others from overexposure including the use of gloves, masks, special glasses, and protective outerwear. – Write and store patient files. – Clean, maintain and operate radiologic equipment by adjusting the controls to the correct intensity, contrast, and visual acuity. With an aging Baby Boomer population, the need for experts in radiologic technology is higher than ever. The Bureau of Labor Statistics projects a 21 increase in employment through 2022 for X-Ray technologists which is one of the fastest growing professions in the medical field. With higher demand comes an increase in pay. Investment in this field now could see a significant increase in earning potential in as little as 5 to 10 years. FNU is rated as one of the best X-Ray and Radiology schools in Florida. Students can earn a Basic X-Ray Technician diploma in approximately 12 months. You must complete 45 credit hours in order to graduate along with 90 hours of clinical practice, and three seminars on Cardiopulmonary Resuscitation (CPR), Human Immunodeficiency Virus (HIV), and Occupational Safety and Health Administration (OSHA). Students graduating with this diploma will be equipped to do radiologic work on the chest and extremities. Acceptance for this program requires completion of a high school diploma or general education degree (GED). This program also prepares students to apply for the Associate of Science in Radiologic Technology program. For this associate’s program, a minimum of 86 credit hours are needed to complete in addition to a total of 600 clinical hours. Here, there are a total of 63 core requirements. The associate’s program offers a more intensive study of Radiographic procedures, positioning, and related anatomy. Some of the courses in this two-year program have prerequisites. 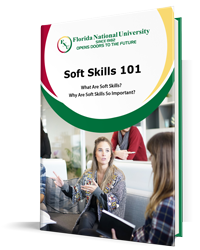 View the online course requirements for this program here. For both academic radiologic programs, the CPR, HIV, and OSHA seminars must be taken first before participating in the clinical rotations. Florida National University medical programs provide students with the knowledge and the experience necessary to take the certification tests needed in order to become part of a professional Radiology team. The clinical rotations near the Miami area will prepare you to work comfortably in almost any medical setting such as hospitals, clinics, or physician’s office. With the Associate of Science in Radiologic Technology, graduates who successfully complete their certification are also qualified to work in the manufacturing and supply of medical equipment or management. The education for these industries can be completed in approximately two years right in the beautiful and tropical region of South Florida, but you must start the registration process immediately. Get started on the enrollment process today with FNU by contacting our admissions department right now!